The Stepping Stone Festival is coming up this weekend (June 7 and 8) at Hamdeok Beach. 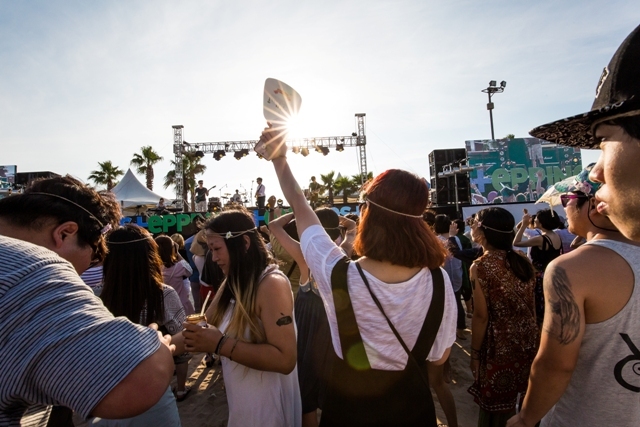 Taking place over two days, the festival is always one of the highlights of the year as the beautiful sea and sand of Hamdeok Beach act as a stage for some of the best bands in Korea. To help prepare you for the festival, we spoke to five of the bands who will be playing to find out what you can expect from their sets at the festival. The bands we spoke to are Silica Gel, Dead Buttons, The Sulis Club, Ssing Ssing, and DTSQ. Festival information, including a map, can be found at the bottom of the article. Silica Gel - "We are learning from each other all the time"
Please introduce your band to us. 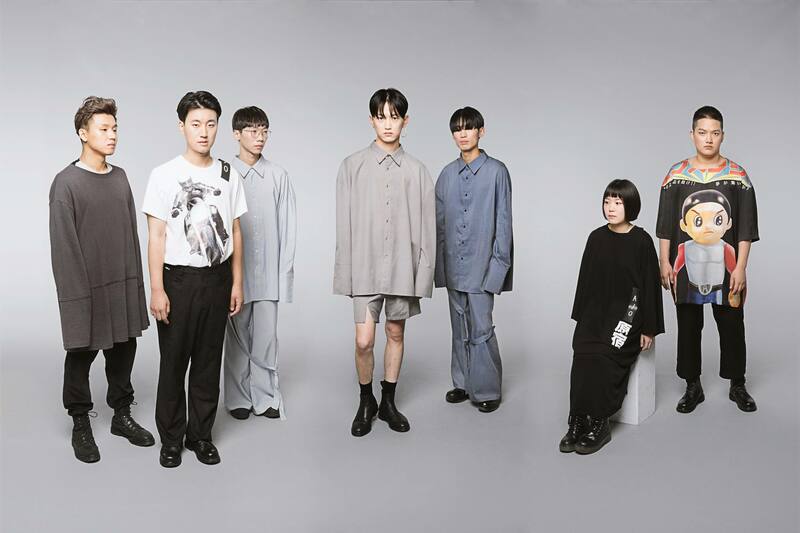 Silica Gel are a group made up of two members who work in video production as well as five musicians. Who or what influenced your band? Each member of our band has their own influences which vary a lot. However, this means that often our biggest influences are each other. Whether musically or in other ways, we are all learning from each other all the time. Can you describe your sound in one sentence? We simply play the music that we like so really we would want our style to be one that is unique to us. However, outside the band, people have described our music as neo-psychedelic. What are you looking forward to most about the Stepping Stone Festival? We are really excited to play with so many great bands and artists in such a beautiful location. We really hope the audience will enjoy our show and have a great time on the beach with us! Can you recommend a must listen song to our readers? To the readers of the Jeju Weekly! It is hard for us to recommend one song as we want you to listen to them all. If you have time, please listen to our whole record "Silica Gel". If you don’t have time then please listen to the single and album versions of our song “Sister.” They are both quite different so we think it is interesting to compare the two. If you want to take in some neo-psychedelia in the Jeju sun, then Silica Gel will be playing on Saturday at 19:00. Dead Buttons - "Deeper and dirtier"
Can you tell us a bit about your band? Hi, we are the band called Dead Buttons from Seoul. Who or what are your band's main influences? You have played shows around the world, what are you most looking forward to about Stepping Stone Festival on Jeju? First of all, we love the vibe of Jeju island and we were really impressed by staff and audience's attitude to the music when we played Stepping Stone Festival last time. Your latest album "Rabbit" has a different sound to your past albums. Can you sum up the sound of your new album? Can you recommend one of your songs for our reader's to listen to? Dead Buttons will be playing on Saturday at 17:40. They released their second album "Rabbit" earlier this month so be sure to check it out! The Sulis Club - "Alternative rock band with musical elements typical of Brit-rock and J-rock"
Can you introduce your band to us? The Sulis Club formed in October 2013. As a Hong Kong four piece indie-rock band, we have always been passionate about making music by using our own thoughts and musical spirits. The Sulis Club consists of Foon Yuen on Drums, Jerry Chan on Bass, Andy Lee on Guitar and Jonathan Synn on Guitar & Vocal. Who (or what) influenced your band? Our work was influenced by Oasis, Jets, Ellegarden, Toe, Hiatus, The Killers and many more. Please describe your band’s sound in one sentence. 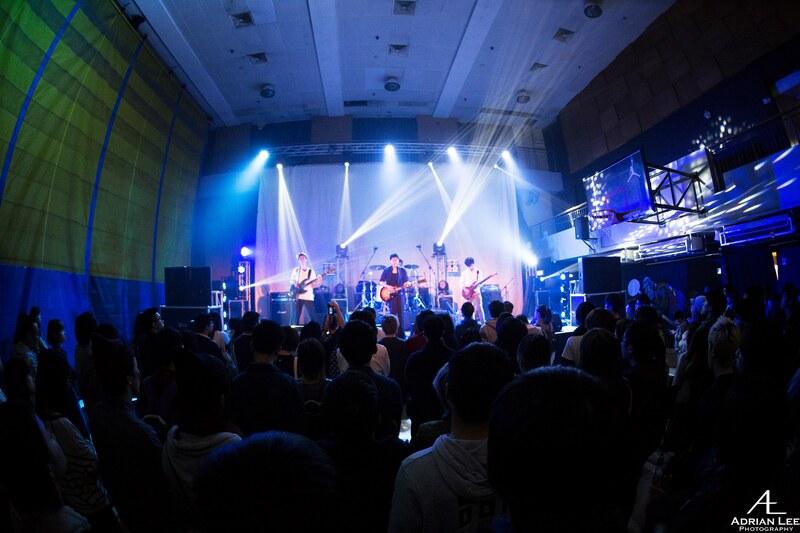 An energetic and uplifting Hong Kong alternative rock band with musical elements typical of Brit-Rock and J-Rock. We are looking forward to interacting with the audience and enjoying the performance of the other bands. Can you recommend one song from your band for our readers to listen to? We would like to recommend our Summer related single “Summer Sonic”. It’s an upbeat and uplifting piece, to leave the audience sweaty and hyped in the summer of Jeju. If you want to check out The Sulis Club during a rare visit to Korea, they will be playing on Saturday 17:00. Ssing Ssing - "Serious rock, rhythmic dancing, enchanting singing." Ssing Ssing are from West Kyounggi province. We have taken different types of folk music and arranged them into rock songs that you can dance and sing to. We have three singers, one bassist, one guitar player, and one drummer. You have a unique sound, can you please explain your influences? We are influenced by our ancestors, by past stars, and by the greats from all genres. You have played in the UK and New York recently, what are you most looking forward to about playing on Jeju? We are looking forward to playing a show for, meeting, and having fun with a lot of new people! Can you sum up your band’s sound in one sentence? Serious rock, rhythmic dancing, enchanting singing. Please recommend one song for our readers to listen to. It’s hard to only pick one! In July we will be releasing a video on NPR’s Tinydesk and also will be releasing our debut album. Please be sure to check those out when they are released! Ssing Ssing will be bringing their heavy rock and light dancing to Hamdeok on Friday night at 18:40. DTSQ - "Our music aims to create a great atmosphere." DTSQ are a band based in Seoul. We formed in 2013 in Hongdae and started to perform regularly from 2014. Up to now, we have done about 160 live performances both in Korea and overseas. 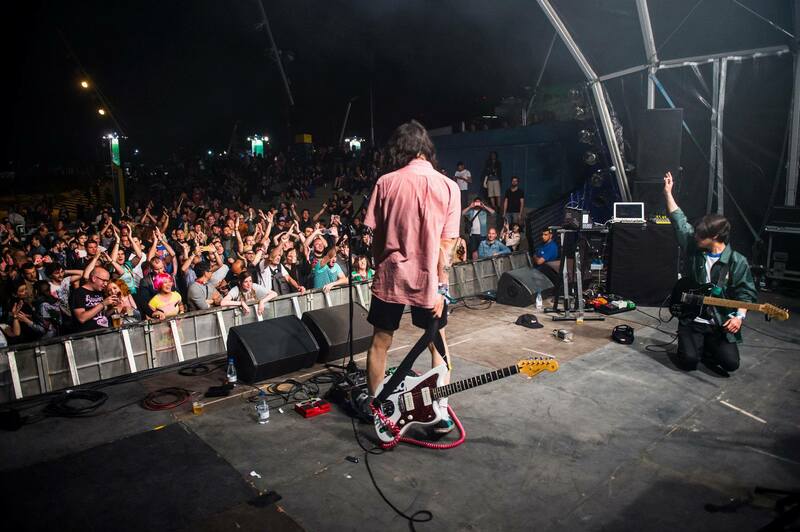 2016 was a big year for us as we played in the European festivals Nuits Sonores in Lyon, Sound City in Liverpool, the Primavera Sound festival in Barcelona as well as completing a 40-day tour of Europe. In 2016 we also won the House of Vans competition and from this, we released the single MIND GAME. We are influenced by all the great artists and the artworks that we think about. Can you sum up your sound in one sentence? Our music aims to create a great atmosphere. We are most looking forward to playing on a stage by the ocean. To find out more about DTSQ's mind games, they'll be performing on Saturday at 19:40.